What role does food separating or fork stacking play when enjoying a full plated meal? The answer depends not on what you eat, but how you eat it. As a southern-cuisine fanatic, nothing shouts “comfort food” to me more than a plate of turkey, macaroni & cheese, collard greens, mashed potatoes with gravy, sweet potato dessert, and a fully baked roll. I don’t have a problem with the some of the food touching each other. But here’s where my simple-classic meal gets complicated: the moment the juices from my collard greens and the runny gravy invade my freshly baked roll, then somehow gets trapped under my mac and cheese. That’s when I find myself having a 5-second moment of silence as I try to process the atrocity of my food drowning in a puddle of liquid. But no need for sympathy. The worst-case scenario involves the food separatist who absolutely hates when their food touches. This fear can be identified as brumotactillophobia. It’s a mild form of obsessive-compulsive disorder (OCD), so most people who find themselves in this category simply enjoy each food item individually. Anyone with this phobia believes that food mixing & mingling is an utter corruption, and it takes away the control of how they want to enjoy their mealtime. Unless we’re talking about foods that are sandwiched between two burger buns, wrapped in a zesty burrito, or even tossed up to make a fresh salad (in other words, foods that are meant to be combined), then people with this problem prefer their appetizing meals, separately. The cure is in the close-off. 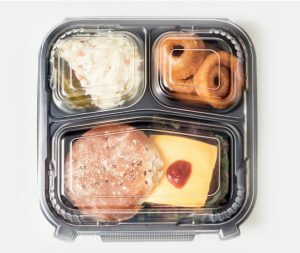 Every consumer has a little brumotacillophobia depending on the meal, and Genpak’s Close-Off Food Containers are the best way to prevent any messy spills or clashing between food items. 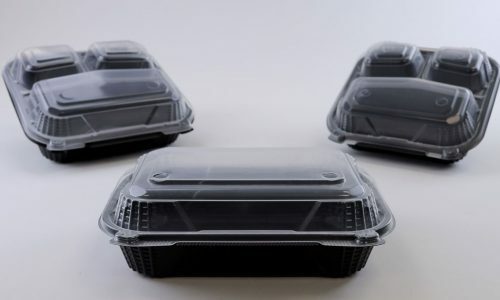 Since consumers are looking up to the foodservice industry to deliver the best food experience, the off-premise dining market is a hotspot for close-off food containers. 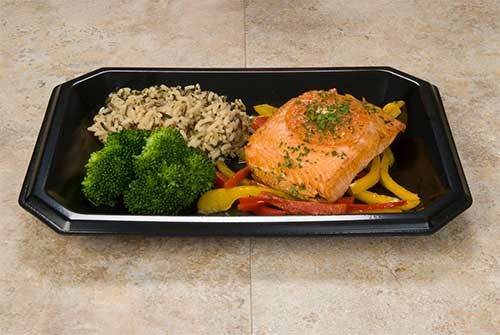 They are perfect for take-outs, third-party delivery, and any other off-premise occasions. To condense your search for them, the containers are available in a free Close-Off Sample Kit, which can be found here. 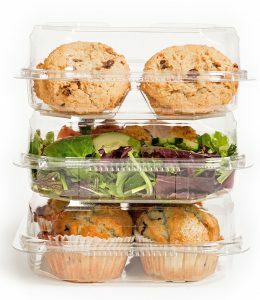 Check out our Close-Off To-Go Containers video below to see the food packaging at a glance. Goodbye brumotacillophobia! Genpak’s Close-Off Food Containers are the cure!